The content of this podcast is provided for general informational and entertainment purposes only and is not intended as legal advice. The content of this podcast does not establish an attorney-client relationship between the host and the guest and the general audience. 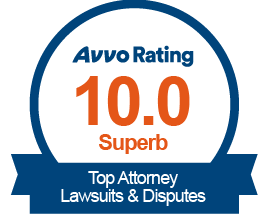 If you need specific legal advice for your legal matters, please contact an attorney in your area. Schenk: Hello out there and welcome to episode 49 of the nursing home abuse podcast. Happy holidays. Merry Christmas. Smith: Or happy Hanukkah or happy Kwanzaa. Schenk: We want to include everything. Our holiday cards, I think one year, I think we had where it was like there was a little cross and a little Hanukkah thing and a little Kwanzaa thing. You know those Coexist bumper stickers? Schenk: But it was all the holidays and it was during the holidays, you what I’m saying? It was like “Seasons greetings,” so we incorporated everybody. Smith: No love for Manal or Maha? Smith: I think they’ve already had Ramadan. Schenk: Yeah, because sometimes Ramadan overlaps because I don’t know how that works, but like sometimes Ramadan is in December. Smith: Manal and Maha are our colleagues who are also Muslims. Schenk: Anyways, so a couple things, like you know? This is big news for us, Will and I. This is going to be the last podcast, the Nursing Home Abuse Podcast, for 2017. We’ve done 49 episodes in 2016. Smith: And next year we do our big 5-0 when Rob and I both turn our big 4-0. Schenk: 4-0. Yeah, so I’ll be the first one in January. Smith: Rob turns 40 in January and then I turn 40 in June. Schenk: Yeah. And I will be off to Brazil for two weeks this coming weekend. On the 21st, I leave for Brazil with Daniela to go to the city of Curitiba, where her father and grandfather live, and then to Indaial, which is the sticks where her mother and sisters live. Smith: Yeah, I don’t know what I’m doing. Who knows? Schenk: Like this is actually – I’ve been looking forward to this question is you don’t celebrate traditional holidays in a traditional way because you’re from the mountains and also your parents. What is the Christmas tradition that you do? Smith: So understand something, that the reason our lives are like that is because for a very long time, my father worked in the nursing industry. And you, as a healthcare worker, you will often work on holidays or you’re called to, and my dad would always do that because he wanted other people to take off if they wanted to. And I worked in healthcare for a long time and I would work on the holidays. Then I was in the Marine Corps. You don’t always get the holidays off either. So we just have a habit of like during the holiday season, and it’s just in the mountains, it was just me, my mom, my dad, my brothers – we would celebrate whenever. So we might go Christmas shopping in January and do whatever we wanted whenever we wanted. I mean we put up a Christmas tree and we certainly had presents under it. The big issue for us is when we may do that. Schenk: Right, because also the bears might get it. Smith: So we have a very big problem with bears attacking our garbage right now and I think our solution – and we came up with this after last Halloween – is we’re going to get one of those motion sensor activated skeletons and put it out near the garbage can, and when the bears come out – bears are vicious and they’re mean and they’re scary-looking, but they’re also big babies, so if this thing goes off and starts making noise, it’ll scare the bears off. Schenk: I thought you were going to say you were going to give your mom a shotgun. Smith: Yeah, but I can’t foresee her shooting a shotgun. She does have a small Walther PPK. Schenk: PPK, like James Bond. Smith: Like James Bond, that she could use, but that’s not going to take a bear down. Schenk: I don’t know – do we got a real grizzly on our show today. Smith: Oh, speaking of bears and speaking of black bears, we have Paul Black, our guest. Schenk: Oh, there you go. Smith: Decatur, right. He lives in Clarkson. It’s in Decatur, yeah. But they do elder law issues that include Medicaid and veterans benefits eligibility, guardianships, conservatorships, estate planning, administration, special needs planning. 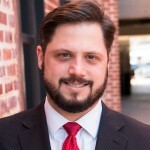 So basically everything that you can think of that has to do with either elder issues or estate planning issues, Brandon Black, which is the name of their firm, handles. And we are very honored and very happy to have him again with us again today. Hey, Paul. Paul: Thank you guys so much for having me. Smith: So Paul, the last time you were on, we talked about guardianships versus durable healthcare power of attorney. We talked about supportive decision-making. We talked about how you determine if somebody might need a guardianship or how you determine if somebody is capable of signing certain documents. This time, can you give us kind of a layout procedurally how you go about actually getting a guardianship? Is there a document you sign? Do you go to court? How does that happen? Paul: So I’d be happy to walk everybody through the basic process of getting a guardianship or conservatorship. And what that involves is filing a petition, which is a standard form document. You can get it online through the Council of Probate Court Judges website, that is gaprobate.gov. That website has a list of all of the common forms to be filed in probate court. Two of the most common forms that are used are a petition for guardianship or conservatorship for an adult, or a petition for conservatorship for a minor. And we’re not going to talk too much about minors today, but I will say if there’s a child who has not yet attained 18 years of age and they’re getting money from a settlement, legally here in Georgia and every state in the 50 U.S. states, a minor who is under the age of 18 cannot legally own or receive property or sign contracts. So if a minor here in Georgia is getting more than $15,000 in a settlement, they have to have a conservator appointed to accept that for them. Schenk: More often what I deal with is going to be an adult who has a questionable or no ability to make decisions about their health or their safety or about their finances, and that’s when I work with a member of their family or a concerned friend or someone else who files for guardianship and conservatorship. So basic steps – first I meet with the concerned family member or the concerned friend. We probably meet for about an hour and a half or two hours in the initial meeting. We figure out do we really have grounds to file for guardianship here? We talked about this a lot in the last podcast, number 48. Schenk: Hey Paul, before we get into the filing fee – okay, so you have the example that the petition would contain content alleging the reasons why the guardianship would be necessary. What does literally the paper look like? What else is in it? Is there stuff that goes in every single petition, things like that? Smith: Does it matter who the petitioners are? Can they be anybody? Paul: They can be anybody. It doesn’t have to be family. It can be a concerned relative. It can be a skilled nursing facility where someone lives. Or another kind of a one-off example, if you are a hospital and treat an awful lot of homeless people here in Atlanta and they don’t have ID, they can’t always have family found, you may have a temporary medical consent guardianship, which means you’re just getting guardianship in place quickly to be able to medical decisions when someone cannot speak for themselves. So you’ve got to provide as much info as you have about this person, and the rest of the petition, as best you can, you should list their income, their assets, if you know about that, especially if you are seeking conservatorship. The court is going to want to know as much as you know – if they have real estate, if they have bank accounts, if they have retirement accounts, if they have debts – all of that goes into the petition. Schenk: Can the petitioner seek to have someone other than the petitioner be the guardian? That’s number one. And number two is what happens in situations where maybe there’s a half-brother or a step-sister or there’s a fight to see who should be the one who should be appointed? Can there be contemporaneous petitions at one time and then the judge is like, “You, no. You, yes?” How does that work? Paul: So we’ll get to contest petitions in a moment, but to answer your first question, which is a great question, can you ask for someone else to serve? Can you say, “Let this cup pass from me? I don’t want to be the guardian? I just know my uncle needs one. Who’s it going to be?” You can do that. The challenge is finding someone who will consent to serve and it’s often a very tough, very thankless role. I have a petition that’s going to be filed in DeKalb County probably on Monday. We are literally waiting today to hear back from someone who is named as a healthcare agent. We’re not really convinced that the patient or the person had capacity when he signed this document, but we have to do our due diligence. If we don’t hear back from her, we’re going to file a petition and say, “Court, we have gone above and beyond to try to reach this patient’s, this person’s healthcare agent. We cannot find her. She’s an ex-wife. They’re estranged. We don’t really know why she signed in the first place, but nobody in the family wants to serve as a guardian.” We’re going to be asking that the Department of Human Services actually serves as the guardian and appoints a caseworker to do so. My client in this case, which is weird, is actually the nursing home. because the nursing home has not been paid in a year since the resident has been there. Our reason for filing is we need legal authority to apply for Medicaid to pay for this person’s care. So to answer your first question, Rob, can a petitioner ask for someone else to serve as a guardian or a conservator? Yes. The Department of Human Services will often have caseworkers who can serve as a guardian as a last resort, and if nobody wants to make financial decisions, every county in Georgia has a county conservator or three. These are private practice attorneys who also serve as conservators of last resort when no one else is able to serve or if things are contested and family is fighting about it, the probate judge will say, “Enough fighting. I’m going to give this to a third-party professional who’s able to administer these funds. To get to your second question about contest, there are many families every year where there are multiple competing petitions at once. I’m a planner, not a fighter, but I have been involved in a couple of these before. A judge usually wants to hear all those parties at once, and then she will sort out who has the best, most compelling reason to serve as the guardian or conservator. And if the proposed ward, if the person whose decisions or money they’re fighting about, if that person nominated someone to serve, the judge is going to give an awful lot of weight to that person’s preference. Smith: Now just a clarification for us and our listeners, when somebody is a guardian – is applying for guardianship the same thing as guardian ad litem? Paul: So that’s an example where a GAL would come in and advise a court as a mutual third party. Smith: I got you. So back to the guardianship then, we’ve got the petitioners. We have the document and we’ve filed it. What happens next? Paul: At that point, the court begins to process the petition. The first step should be the appointment of a court-appointed evaluator. This might be – in most cases, it’s going to be an LCSW, a licensed clinical social worker. In some cases, if there are really kind of difficult capacity issues to assess, the court will appoint a psychiatrist or psychologist. That’s relatively rare. That evaluation usually lasts half an hour to an hour. The evaluator provides that report to the court, and they literally have a narrative portion where they say, “This is what’s happening,” and then they check a box and say, “Based upon my evaluation of this person, I think that he or she does or does not need a guardian or a conservator.” Once the court case that, the next step is to schedule a hearing. Schenk: How long does it take to get a psychiatrist or an evaluator appointed and then actually conduct the assessment? What’s generally the timeline for that? Paul: It varies radically from one county to the next, so in a smaller or more rural or less busy county, it might only be a week or two or three from the receipt of a petition in the probate court until the evaluation occurs. In bigger courts, if we’re looking at DeKalb or Fulton or Garnett or Cobb, which are especially busy and I have petitions in all those courts right now, several weeks can elapse from when a petition is filed and when the evaluation happens. And then several weeks can also elapse, you know, maybe four to six weeks from when the evaluation occurs and when the hearing is scheduled. It’s all a function of that court’s workload. Smith: And I may have missed this, but who’s responsibility is it to get that psychiatrist, that social worker? Smith: Got you. Okay. So what happens then? Let’s do this. Let’s look at the possibilities here. What happens if that evaluator says, “I don’t think they need a guardianship?” That’s just the end of it? Schenk: They just dismiss the petition? Paul: No, it’s not. There’s still a hearing, and this is the crazy thing. A probate court judge, she’s allowed to totally disagree with the evaluator, and what often happens is the evaluator thinks that someone does need a guardian or a conservator, and once the judge hears all the facts in court, she might say, “You know,” back to our Waffle House example from podcast 48, “He’s making really reckless, stupid decisions, and yet, he can still pay his own bills. He understands money. We don’t agree with his values, but he doesn’t lack the capacity to make these decisions. I don’t care what the evaluator or social worker says. I don’t care what the petitioner says.” The judge can still say, “No, this is not appropriate.” And that does happen. Smith: You know something that we need to point out here that our listeners may not know is that in probate court, the judges don’t have to have law degrees. Paul: Oh, I’m so glad you’re going there. We can talk about that. Smith: Yeah, so you can just have – and every other court in state court, in superior court, in federal court, you have former practicing attorneys. These are individuals who have juris doctorate degrees. These are individuals who were attorneys at some point, and now instead of practicing in private practice or with a firm, they are judges. In probate court though, you could literally have anybody. Paul: So there is an exception. So it changes actually by statute every few years. It’s actually based on the size of my hometown, Albany, Georgia – I’m not making this up. Counties in Georgia that have a population north of about 90,000 people must have an attorney as a probate court judge, and there’s a seven-year experience requirement. However, Will is right. The majority of counties in Georgia where they don’t have 90,000-plus people or so in the county, you can have people with a – presumably you could have someone who’s just a high school graduate as a probate court judge. I have been before a handful of non-attorney probate court judges. The level of experience, the level of knowledge varies wildly. And our job there is to be a good advocate and make sure they have the knowledge they need to make a decision about the petition before them. Schenk: You’re telling me that there are counties that are so small and that no one wants to live in that they can’t find enough attorneys, that they have to legislate that you don’t have to be an attorney to be a probate judge? Smith: And remember, it’s not that they can’t find – it’s that because of the size of the population, they’re allowing an exception to these counties. Remember, when I went to high school, my high school was in the same building as my middle school. Schenk: Yeah, I know about that. Paul: Did they have the dirt floor and did you sit behind Abraham Lincoln? Paul: Sorry, had to go there. Smith: But it’s not that you can’t have an attorney sit as probate court. It’s that they’re not imposing that requirement. Schenk: Because there aren’t enough people there. Smith: Because there aren’t enough people there. Smith: What’s it like being in front of those judges? Do you notice a dramatic difference? Are they more or less inquisitive? Is it harder? Schenk: Like they’re aliens? What is somebody without a degree like? Paul: It’s impossible to generalize. Every probate court has it’s own personality because of the staff and the judge. And I have an amazing paralegal, and a big part of her job and a big part of my job as well is to call the clerk before we file a petition in a new county, introduce ourselves, ask how they do things and make sure that we’re not only following Georgia law but we’re following and respecting local customs, and we’re doing things the way the court wants them done. That’s a huge part of our job. Schenk: Okay, so wrap us up with this process, Paul. Like the evaluations are done. The individual that’s in the nursing home needs guardianship. The person that’s petitioning is petitioning for themselves to be the guardian. They file the papers. Everything is done. What happens next? Take me from the hearing to then the finalization. Paul: Right. So the judge will make a decision in almost every case that same day in the hearing about guardianship and/or conservatorship. If you’re becoming a guardian, the judge will swear you in, in almost every case, that same day. She will issue your letters of guardianship to you. To become a conservator to manage money, in almost every case, you’ve got to be bonded. You’ve got to receive a bond from a fiduciary bond company to be in charge of someone else’s money. So if someone’s in charge of grandmother’s money and grandmother has $150,000 in assets, not including her house, that person’s got to be bonded for $150,000. And if they file for bankruptcy in the past seven or eight years, if they have no job, if they have a lousy credit score, they cannot be bonded. If they’re a retiree, they’re not working but they still have a good credit score, they can probably be bonded. After you are a guardian or a conservator, you have to issue reports to the court. The first report is called a personal status report. You’ve got to issue that within 60 days of becoming a guardian. That’s where you say, “Courts, this is what is happening with this person, with the ward. This is what they’ve had in terms of medical attention lately. These are the doctors they’ve seen. Here’s what we’ve learned.” It’s a pretty detailed report. The other thing, if you’re a conservator, you’ve got to file what’s called an inventory or asset management plan. That’s where you give the court a rundown of how you plan to manage this person’s money to meet their care needs. The general rule here is really simple. You can’t spend more than a ward makes in a month on their care or their needs in that month without permission of the court. If you do a so-called invasion of corpus, if you’re going into that person’s principle as opposed to just their income, you’ve got to get court permission to do so. Schenk: And that was Wesley Snipes. Paul: Sadly no. I think Wesley is more famous for tax evasion than anything else. Paul: Will, you are missing out. Get to Netflix pronto and solve that problem. Smith: Paul, don’t believe anything that Rob ever says about me. Paul: I do, which is why we love his company so much. Schenk: But Paul, thank you for that thorough explanation and answering our questions. Again, what we’ve talked about the past two weeks, we get a lot of questions about at our firm and our listeners and our viewers also have the same questions and concerns, so we really appreciate you coming on two weeks in a row to explain guardianship, probate processes in the state of Georgia. Paul: Can I answer one more basic question? Paul: So the basic cost to file a petition – this is not including attorney fees, because a lot of people don’t have the money to pay an attorney to file for guardianship, but if you’re just paying filing fees, those average between $500 and $600 for a guardianship and/or a conservatorship petition. Smith: Okay, is there any way they could ever get that waived or is that just the basic minimum cost? 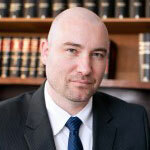 Paul: Having worked at Atlanta Legal Aid during law school and for the first year thereafter, the short answer is no. The so-called pauper’s affidavit where you’re telling a court, “I’m poor, I cannot pay fees,” I have yet to see a court in several years of practice and doing these petitions who’s entertained that idea. Smith: You basically have to be homeless. Schenk: If you were filing as a legal aid attorney, maybe on a really sunny day. For the rest of us, the petitioner is going to pay the filing fee. Schenk: Yeah, I guess that about wraps it up again. Paul, thank you so much for being here and talking to us two weeks in a row. And I guess, again, this is the last time we’ll be seeing you on this side of 2017. Smith: And we’re going to have Paul’s contact information up and on here. And people, if you’ve got any issues, any questions about elder law, estate planning, give him a call. Schenk: Yeah, the number’s on the screen. Smith: It’s Georgia-ElderLaw.com is their website. But yeah, this is our last podcast of 2017. Schenk: Rocking it. High-five on 2017. Smith: We’re doing this? High-fives? I don’t like high-fives. Smith: Anyways, Paul, thank you so much for coming on. Paul: So guys, I have to ask just one question. Was I your absolute last choice or did you actually save the best for last for podcast 49 here? I’ll probably never know the answer, but I’ll leave your listeners in suspense about why you picked me last. Smith: …With a bow, a big gift to all of our listeners. Schenk: And with that, I will say see you next time.